A tutor for professional keyboarding. Type in Hindi and English on a PC. Teaches you to type faster. Full-featured touch typing training tool with efficient lessons and games. Enjoy the fun lessons and learn to type in a fast way with this program. Learn hoy to typewritting fast and easy with this program. 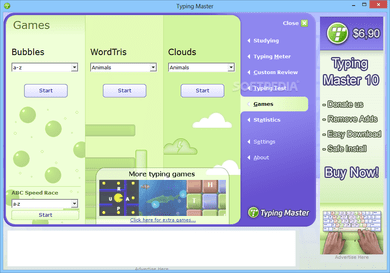 Handy and versatile typing tutor software. Few tutors so closely simulate the standard drills of a live typing class. It provides the easiest and quickest way of learning touch typing. Look up the expansion of a computer acronym. A Basic Powerpoint 2007 training of a series of two Professor Teaches Products.